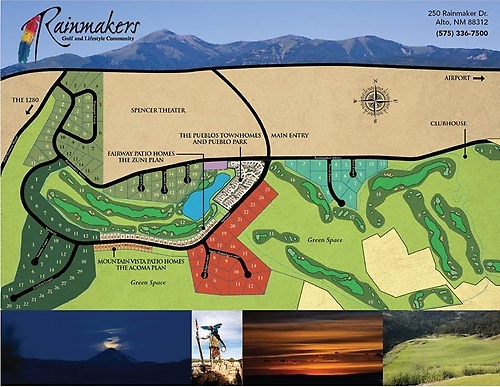 Rainmakers Golf & Lifestyle Community is the most prestigious Private Club in Southern New Mexico. 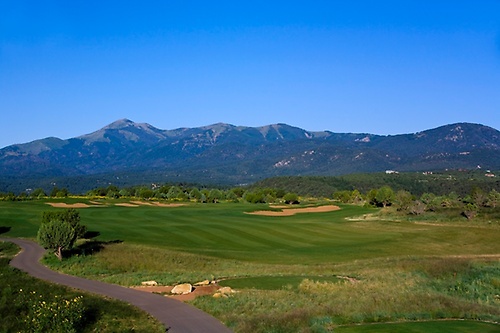 Golfweek recently ranked Rainmakers the #1 Residential Golf Course in New Mexico and #32 in America. Perched at 7,000 feet, Rainmakers sits between Sierra Blanca and the Capitan Mountains offering breathtaking views all around. Rainmakers will be like no other experience you have come across. As you reward yourself on this unforgettable Robert Trent Jones II Championship track, you will be overwhelmed by the spectacular views and wildlife surrounding you. Our Southwestern-Style Clubhouse was designed to fit seamlessly into our surrounding environment. Rainmakers Resort and Club is an amazing venue, playing host to everything from post-round cocktails to fine dining and special occasions. Our staff is here to accommodate your needs during your visit or private event. The Club offers a variety of memberships suited to fit your golf or social lifestyle. Your membership at Rainmakers will give you access to all amenities the Clubhouse has to offer (incredible views from the restaurant and lounge, fitness room, jacuzzis, and steam rooms) and, depending on your level of membership, may even grant you access to the beautiful Robert Trent Jones II 18-hole golf course and learning center. Make Rainmakers your home away from home. Take the Airport Road, Hwy 220 4.5 miles and turn left at the entrance to the Spencer Theater/Rainmakers Community. Drive through the main gate to the stop sign and turn left to the Clubhouse.